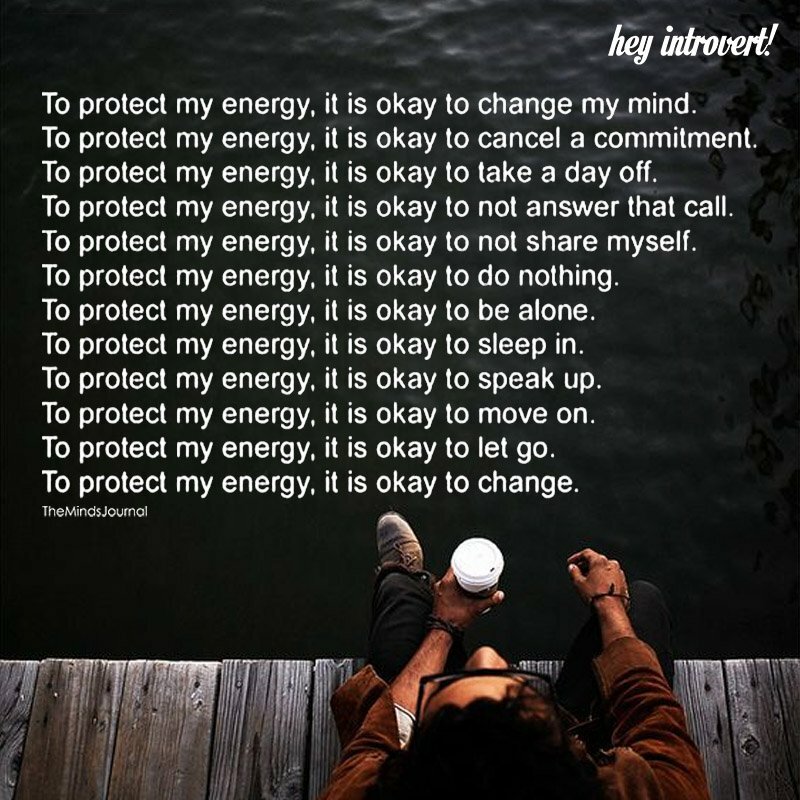 To protect my energy, it is ok to change my mind. To protect my energy, it is ok to cancel a commitment. To protect my energy, it is ok to take a day off. To protect my energy, it is ok to not answer that call. To protect my energy, it is ok to not share myself. To protect my energy, it is ok to do nothing. To protect my energy, it is ok to be alone. To protect my energy, it is ok to sleep in. To protect my energy, it is ok to move on. To protect my energy, it is ok to let go. To protect my energy, it is ok to change.